Was born in 1946 in Nepal. As a young child he was recognized as the reincarnation of a famous yogi of the area. In the Tibetan refugee camp in Buxa Duar/India he met Lama Thubten Yeshe who became his main teacher. 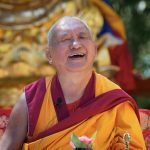 Lama Yeshe was the founder of the Foundation of the Preservation of Mahayana Tradition, and today Kyabje Zopa Rinpoche is the spiritual leader of FPMT which comprises about 140 centres and activities all over the world. He was born in Tibet in Lhasa in 1926, he is an old master of rituals and meditator. When he was a child he joins the Tsecholing Ghelugpa Monastery in Lhasa, receiving the formation of ‘Master of Ceremony’. He was at Lhasa when the Chinese bombarded Potala. He stayed there for a few years, disguised as a layman and then retired to Dharamsala and then to Nepal. At age 49 he decides to live as a yogi: he makes retreats and meditations, dedicating his life to others. Since then he lives in Pharping. He comes to Italy for the first time in 2002 and teaches in the FMPT centers. Was born in Tibet in 1957. At the age of two he was recognized as the reincarnation of a famous master, who had been the guru of several important Tibetan teachers of our time. After escaping from Tibet to India he became a Geshe Lharampa. He now lives in Dharmasala in His Holiness the Dalai Lama`s monastery. Studied at Seraje Monastery where he obtained the title of a Geshe Lharampa. 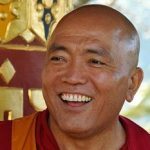 He is resident teacher at the Istituto Lama Tzong Khapa in Tuscany. 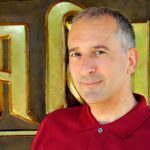 He is known for his psychological sensitivity that allows him to convey the traditional teachings in a form that inspires the students to integrate them in everyday life. Is a resident teacher at Lama Tzong Khapa Institut since 2012 where he teaches the tantric subjects in the context of the Masters Program of Buddhist studies. 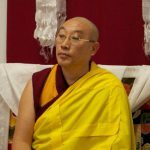 In 1999 he passed the exam to become a Geshe Lharmapa at Seraje monastery in India. Was ordained as a buddhist monk of the Tibetan tradition in 1986. 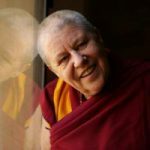 For more than 30 years he studied and practiced the Buddhist path under the guidance of his main teacher Ghesce Ciampa Ghiatso. 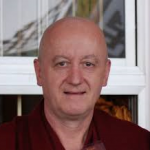 He is a registered teacher of the FPMT. 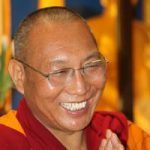 Was one of the first western students who 1981 received the monastic ordination directly from His Holiness the Dalai Lama. 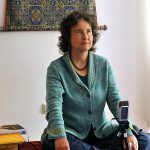 While her main teachers are Lama Thubten Yeshe and Kyabje Zopa Rinpoche, she has also received instructions from many other masters of the Tibetan tradition. Is a student of Lama Thubten Yeshe, Kyabje Lama Zopa Rinpoche and Khensur Jampa Tegchok. 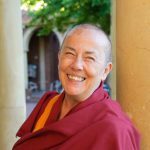 She has been studying and practicing in the Tibetan tradition for more than 30 years and is a FPMT registered teacher. 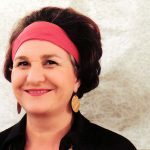 She is a Tara Rokpa psychotherapist and combines in her course elements from western and eastern psychology. 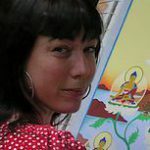 Is an internationally renowned painter of Thangkas, the traditional Tibetan scroll paintings of Buddhas and mandalas. For six years he had been abbot of the first Theravada monastery in Italy. He was president of the Italian Buddhist Union and was vice president of the Maitreya Foundation. 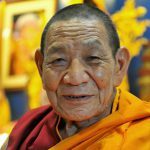 He received the Mahayana precepts in 1995 and some Tibetan Vajrayana initiations from renowned masters such as His Holiness the Dalai Lama, Geshe Ciampa Ghiatso, Kirti Tsenshab Rinpoche. He returned to the lay state after 18 years of monastic life, and he is a qualified teacher of vipassana meditation. He holds conferences, seminars and retreats all over Italy. Meditation is my favorite activity, I love to sit and listen to the silence of myself. Every time I find something new, sometimes I find calmness, sometimes images appear, thoughts come and go. It is always restful to observe, feel and listen to what appears.